Since 1st of January 2009, the official currency in Slovakia is Euro (currency code EUR). European Union agreed with Slovakia’s entry into the Eurozone on 19th of June 2008 at the summit in Brussels. Slovak Republic adopted the Euro after 16 years of using Slovak Koruna (former Slovak currency code SKK). The conversion rate was set to 1 EUR = 30.126 SKK. This tool can convert any currency to any currency. The pre-set values are Euro (EUR) converting to US Dollar (currency code USD). 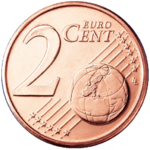 Euro coins have 8 values: 1 cent, 2, 5, 10, 20, 50 cents, 1 euro and 2 euros. 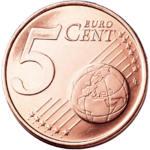 All euro coins have a common side and a national side chosen by the respective national authorities. But, of course, any Euro coin is valid in any country of the Euro Area. 1, 2, 5 Eurocents Kriváň, a symbolic mountain in the High Tatras as designed by Drahomír Zobek. 10, 20, 50 Eurocents Bratislava Castle as designed by Ján Černaj and Pavol Károly. 1 Euro coin The symbol of Slovakia, double cross on three hills, as designed by Ivan Řehák. 2 Euro coin The same as with One Euro Coin – Coat of arms of Slovakia, but the gold and silver colours are switched. Euro banknotes have 7 values: 5, 10, 20, 50, 100, 200, 500 euros and have the same look for every country. 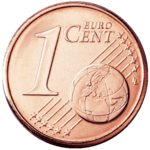 The idea behind the adoption of Euro was to have a strong and stable currency. As a proof, since 1999 many other countries applied to become a member of Eurozone and 5 of them already became. It is very likely that the use of Euro will spread. Here are the countries which are planning to change their recent currencies for Euro: Bulgaria, Czech Republic, Estonia, Hungary, Latvia, Lithuania, Poland and Romania. Denmark and United Kingdom obtained special opt-outs in the original Maastricht Treaty of the European Union. Sweden gained a de facto opt-out by exploiting a legal loophole. It does not work to meet the criteria to join, deliberately staying out of ERM II, and so is not able to adopt the currency as it is obliged to. Since 8th of February 1993 (Slovakia became a separate country on 1st of January 1993) till 31st of December 2008 the currency of Slovak Republic was Slovak Koruna (Slovak Crown – currency code SKK). Korunas were subdivided into 100 haliers. Before 1993, when Slovakia was part of Czechoslovakia, the currency used was Czechoslovak Koruna (Czechoslovak Crown – currency code CSK). Slovak Koruna was also used during the WW2 (1939-1945) when Slovakia had its first own country. Credit cards are accepted in most of the stores, hotels, restaurants. In larger cities there is an ATM practically on every corner, in smaller towns you don’t need to walk that much either. So you don’t really need to exchange too much before you get to Slovakia. Be aware of people offering money exchange services on the streets. Usually in Bratislava, they offer you a very good exchange rate, but you are very likely to be cheated or robbed. Sometimes they sell you some cheap currency instead of Euro (Slovakia currency) or they give you counterfeit money or they put worthless papers between the regular banknotes, so it looks like a big amount of money. Exchange offices at the airport, railway or bus stations are completely legal and robber-safe, but some of them use unethical business practices. Even if you see a big sign that they offer money exchange services with 0% commission, be careful! The two most usual tricks are the following: They are showing the exchange rates of SELLING Euro, so the rates look very nice for you, but your rates for BUYING Euro are completely different/worse. The other trick is that they show you very good buying exchange rates, but there is a small sign that those rates count only when buying more than 1000 EUR (or other amount). Always ask beforehand, what is the exchange rate for your amount of money! Although you may not get the best rates, the banks are the safest places offering money exchange services. Please, do not “play with the money” at overcrowded places, you just give robbers a chance! What currency is used in Slovakia? Euro. Does Slovakia use the Euro? Yes. Is Slovakia in the Eurozone? Yes. Do I get better rates buying Euro in US before my trip or in Slovak bank in Bratislava? I will be soon traveling to Slovakia and may need to buy >1000 Euro. Also, I would suggest you to contact your bank and ask about the fees for using an ATM in Slovakia. Usually by using an ATM you get the best rates and smaller fees. I still have a few hundred Slovak koruny from my previous trip. Are they still exchangeable in Slovak banks for Euros? Frank, since 1st of July 2009, the Slovak Koruna coins are only exchangeable in the Slovak National Bank. But if you have Slovak Koruna banknotes, you can exchange them for Euro in any commercial bank till the end of this year – till 31.12.2009. After that you can only exchange Slovak Korunas in the Slovak National Bank. It depends on the bank… but usually somewhere around 3 EUR. Hi i am UMER SAEED and i have go to there (slovakia) for study i have to need a job in future ,my question is that if i get a job in which currency of my salary .Thanks..
Well, in Euro, of course. Can I still change Slovak SSK currency to Euro and where can I do this? I have some banknotes in Slovak Koruna. Can I still exchange them into Euro if I take the notes to Slovakia when I go there on holiday soon? Yes, but only in the Slovak National Bank. Can we still use Slovak Koruna to pay in stores or restaurants, or is it strictly Euro? I have over 15000 Koruns and live in the UK is there any way I can change these please and if so where. Hi, I have an amount of SKK from a visit to Slovakia before the Euro change. Is it still possible to change it to EURO and if yes, do you know how to do it from a foreign (european) country?